Please register and do answer all Unanswered Question in the forum and build the database to help the CUSATians. for the procedure to make CUSAT an IIEST the university have declined some of the special chances. But today (06/02/2014) as a response to the Strike conducted by SFI students, University agreed with the S4 special supplimentry request. The exam will be conducted soon as possible as per the offer. if so happened can i write s4 special supplimentary on correct schedule? 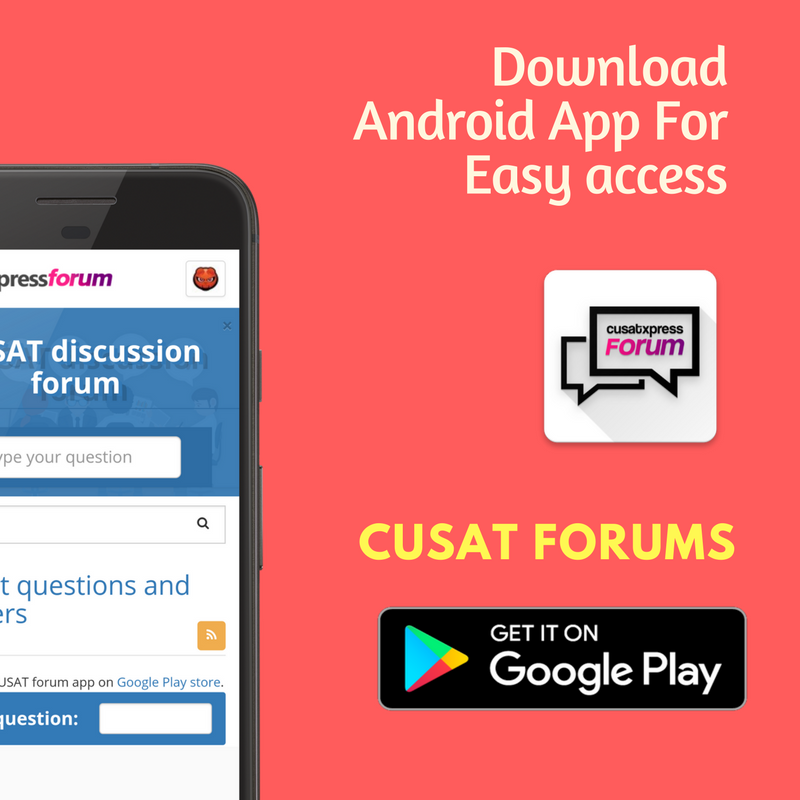 Welcome to Cusatxpress Question and Answer Forum, where you can ask questions and receive answers from other members of the community. Download our Android app for Easy access.